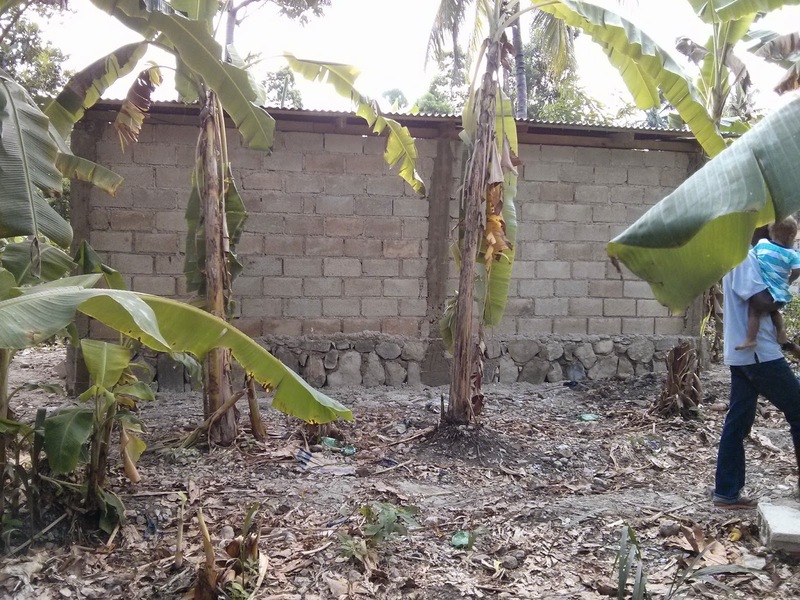 Ginny in Haiti: Coming along! Here are the most recent pics (taken yesterday) of the depot! 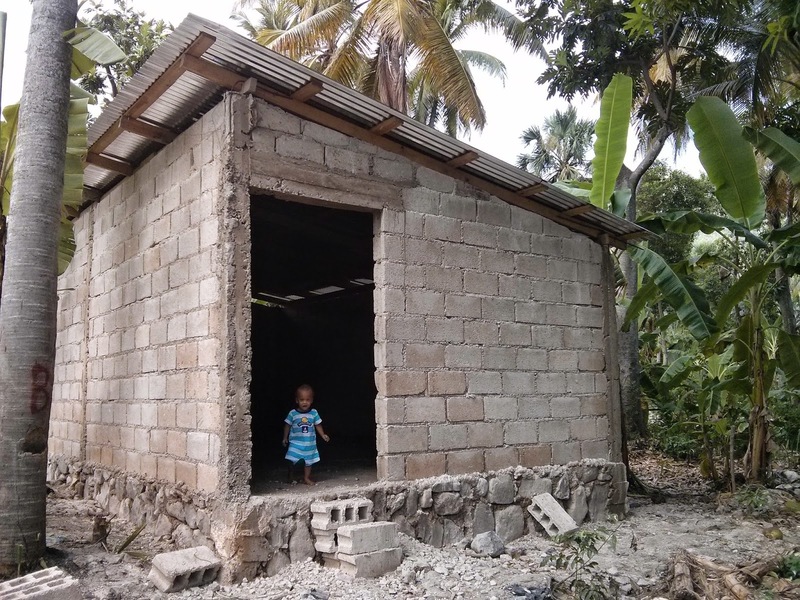 This is the first building on Invest Hope's property in Peredo, Haiti. We are still waiting on the door to be finished and for the outside walls to be smoothed with concrete. But it is looking good! This will serve as a place to store building materials for the other building projects and for general storage after construction is complete. The best part of this project is that it was entirely built by Haitians. Me and the other Americans on the Invest Hope board raised the funds for the project and then it was turned over to Haitian hands. And they are doing a wonderful job! Thank you for your support in our mission and for continuing to work to bring jobs to the Haitian people. The community in Peredo has provided us with lots of ideas of how we can come along side and help them help themselves. It is important for us to build functionally on the land to be able to provide these services. Our website is now set up for online giving. You can give a one time donation or set up recurring donations. Click here to be directly taken to the online donation link.